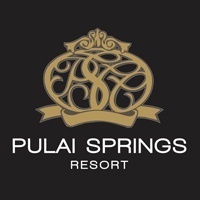 With elements of Java-Malay architecture, Pulai Springs Resort was conceptualised as an ancient royal Malay palace where vernacular roof designs and distinctively carved timber panels take centre stage before revealing recreational facilities within. The resort houses over 200 tropical-themed suites, offering guests worthy respites amongst creature comforts like spacious lounges, dining area, and snug rooms adjacent to two 18-hole USGA championship golf courses. In addition to roomy living spaces, the resort also bestows guests with a myriad of services ranging from four free-form swimming pools, outdoor and indoor Jacuzzis, spa treatments, and a walk on greener pastures.